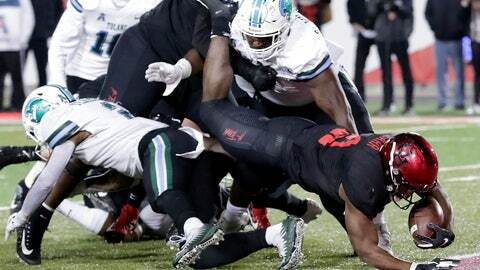 HOUSTON (AP) — Patrick Carr ran for a career-high 139 yards and two touchdowns and Houston rolled to a 48-17 victory over Tulane on Thursday night. D’Eriq King, who entered the game accounting for a nation’s-best 290 points and 35 touchdown passes, combined for 164 yards of offense with two touchdowns. He completed 11 of 15 passes for 82 yards and had 10 carries for another 82 yards. King threw an 11-yard TD pass to Romello Brooker and ran for a 3-yard score, each in the second quarter, to help the Cougars build a 31-9 halftime lead. Applewhite told ESPN that Oliver reacted to being told by the coach that he was not permitted to wear a long, heavy coat on the sideline because they were reserved for starters. Oliver hasn’t played due to a knee injury.